We are an authorized partner of Shopify, which presently has over 150,000 stores with sales of $7 billion. 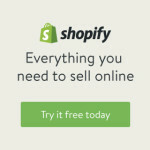 Shopify handles all the hassles of ecommerce, and is a perfect solution for beginners and experts alike. You can manage your entire inventory with Shopify, track stock counts, and automatically stop selling products when inventory runs out. You can have multiple images for your products, so you can show off your products from all angles. There’s no limit to the number or type of products you can sell in your online store. Let’s get started on your new store. We’ll be happy to answer any questions you have with no cost or obligation. We design websites that attract new customers to your business. Click the mail icon to contact us for information or to request a free quote. There is no cost or obligation. We are a web design company in Brewster, NY, but we serve all of the USA. We have clients in California, Connecticut, New York, Florida, Texas, Oregon and more. 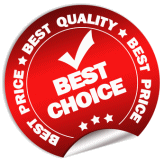 Our prices are typically one half of what other website design companies charge, and the quality of our designs is superb. We feel that this makes us the best choice if you need a new website designed for your business.